Posted Thursday, March 27th, 2014 by Robyn Warner. Save a few dollars by creating the perfect gifts for those you love. Display your own creativity with art projects to decorate your space. Or get organized in style. You can do it all yourself. Here are a few ideas to get you started. A hand-made gift is an excellent way to show someone you care. Some of these projects are so fun, you may want to give them without even waiting for a birthday to roll around. 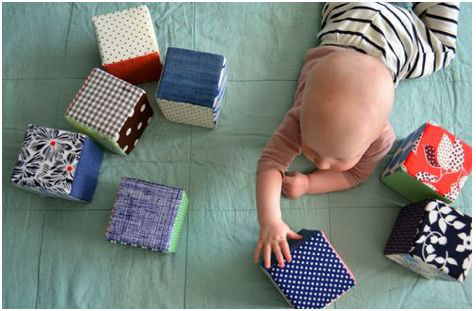 Baby blocks and paper dolls are great gifts for your younger friends. 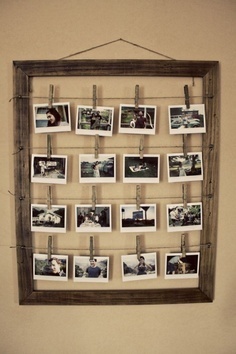 For those you share life with, gather your memories and photographs in a frame for a gift that shows you cherish your time together. Forget about drawing skills; colors and a hairdryer are all you need to create your own unique wall hangings with this idea. Maps and a pair of scissors too can help decorate your walls with a personal touch as well as memories of places you’ve been. Got buttons? Grab some glue and create a colorful work of art for the wall. Create an ordered, useful home or workspace with utility by re-purposing items for book shelves. 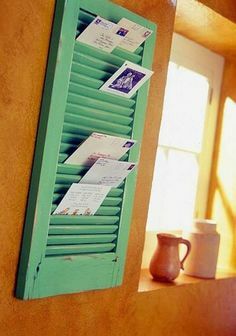 Re-purpose old cans and cards to organize your desk, or use an old shutter to reduce mail clutter. These are just a few of our favorite DIY projects. Check out more at our Pinterest page here.